The Frames use the “world’s first audio-only augmented reality platform” and allows users to stream music and information, take and make calls as well as talk to virtual assistants. 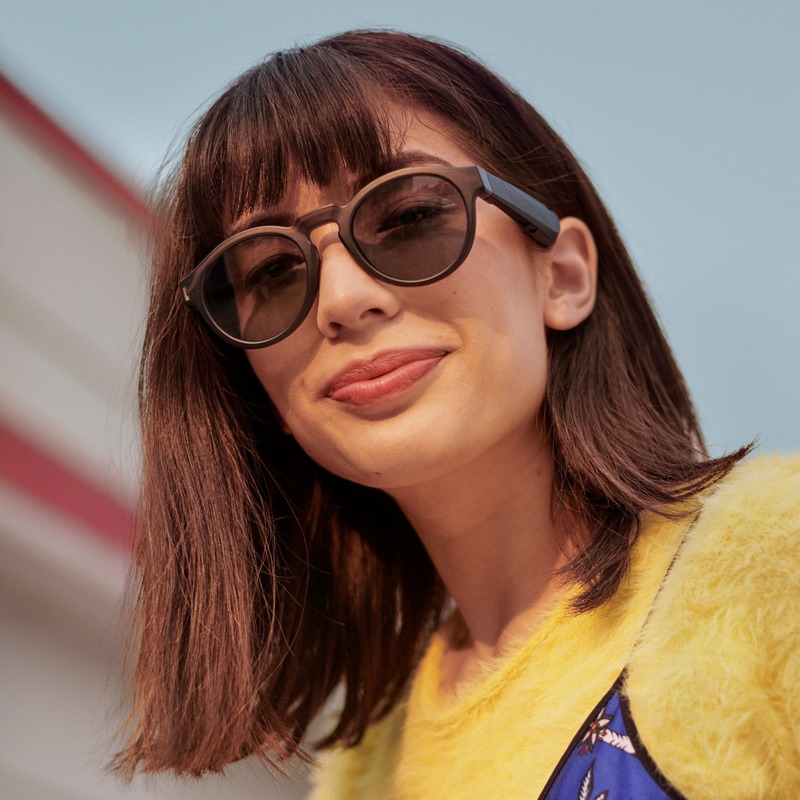 The glasses come in two styles, Alto (square and angled) or Rondo (smaller and rounded), they should be able to block out 99% of UVA/UVA rays. They weigh about 45 grams and are shaped to fit and feel like other sunglasses. 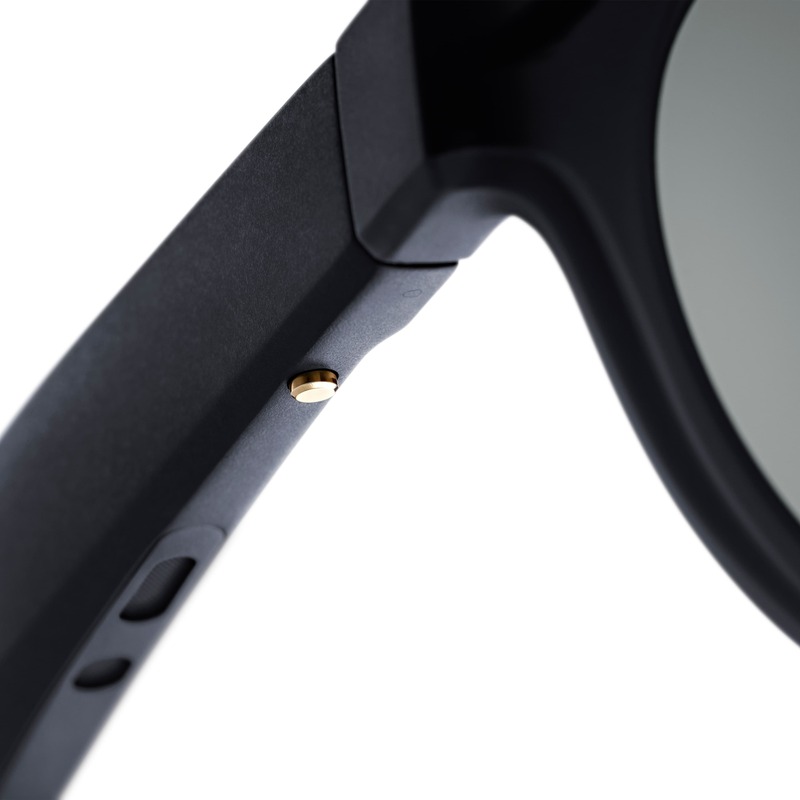 You can get the same functionality of truly wireless headphones with the Frames thanks to the “minuscule, wafer-thin acoustic package is set seamlessly in each arm’s interior.” The right temple of the glasses hold the ultra-small microphone, multi-function button for power and pairing or to access Siri or Google Assistant. The Frames uses a 9-axis head motion sensor and GPS from your Android or iOS device to know where you are and what you’re facing without needing a lens or phone camera. In terms of battery life, you can get up to 3.5 hours of playback or 12 hours on standby. The Frames can be recharged in under two hours. 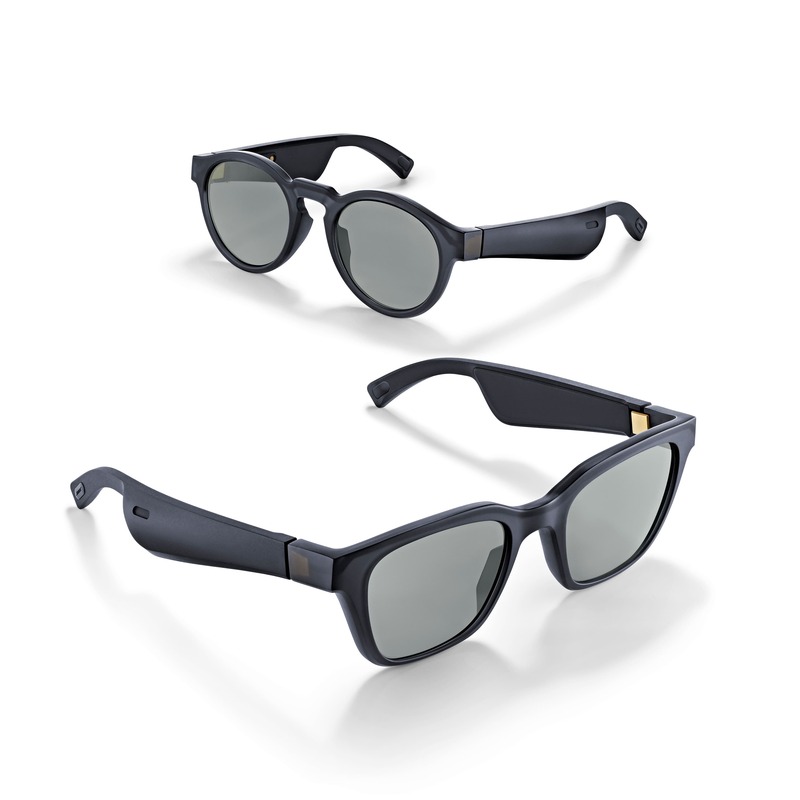 The Bose Frames will come in Matte Black and two styles as mentioned earlier. They’ll be available in the US in January 2019 for $199 USD with pre-orders starting today. Bose will then be releasing the Frames to select resellers and global markets in Spring 2019. 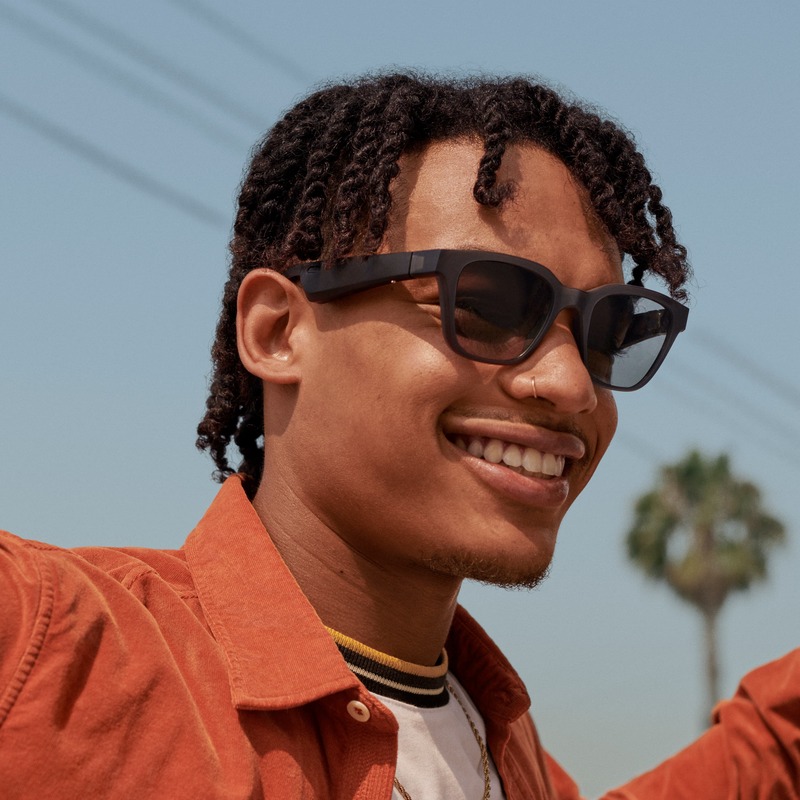 The company will also be giving an update on their Bose AR platform at SXWS 2019.